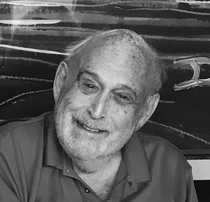 Joseph R. Weisberg, 85, of Atlantic Highlands, NJ, passed away peacefully Tuesday, November 27th, at his home. Joseph was born in Newark, a son of the late Sarah and Maurice Weisberg. He was raised in East Orange and eventually moved to the shore area. He lived in Rumson for 19 years and then Fair Haven before settling in Atlantic Highlands 20 years ago. Joe proudly served his country when he enlisted in the United States Air Force at the start of the Korean War. Joe was self-employed in the advertising and printing industry. Joseph is survived by his beloved wife of 54 years, Jean Weisberg and their three children; Pamela Zaborney and her husband Raymond of Belford; Jennifer DeSantis, of Grant, Fla. and Jonathan Weisberg and his wife Heidi of Waxhaw, NC. Joe also leaves behind 7 adored grandchildren; AJ, Chloe, Troy, Jack, Elizabeth "Lulu", Hayden and Raymond. The family would like to extend their sincere thanks to the Atlantic Highlands Police Department and First Aid Squad. A Memorial Gathering by the sea and a celebration of his life will be held in the Spring of 2019.